Reigning champion Sebastien Buemi took victory in a breathless inaugural Hong Kong ePrix, while Lucas di Grassi made up 17 places to finish second. The Renault e.dams driver was able to take advantage of an earlier than scheduled pitstop under Safety Car conditions and also problems for DS Virgin’s Sam Bird to start his title defence in the best possible way. Buemi fought with soaring temperatures in his Renault to hold on for the win, but it was a major concern as he explained after the 45 lap race. Buemi took the lead after Bird’s DS Virgin refused to start when he swapped cars, shuffling the British driver down to an eventual 13th-place finish. Buemi’s season two nemesis di Grassi placed second after a fraught race which looked to have been ruined after an early race accident when he hit the back of Ma Qing Hua’s Techeetah. The Brazilian, who was forced to pit for a new nose section, managed to take the runner-up position despite starting from the back row of the grid and also making an extra pit stop for a new front wing after contact on the opening lap with Ma. Di Grassi saved a remarkable amount of energy in his run to claim his 14th Formula E podium. Completing the podium was Nick Heidfeld in the Mahindra, who mirrored his podium from the first race of last season in Beijing judging his energy beautifully. 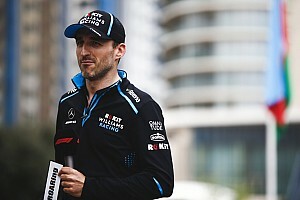 Renault e.dams’ Nicolas Prost took fourth position after an assured drive, while the Andretti pair of Antonio Felix da Costa and Robin Frijns took fifth and sixth. Both drove superb races but Frijns was especially noteworthy as his team had built up an entirely new car after the Dutchman’s accident in qualifying. 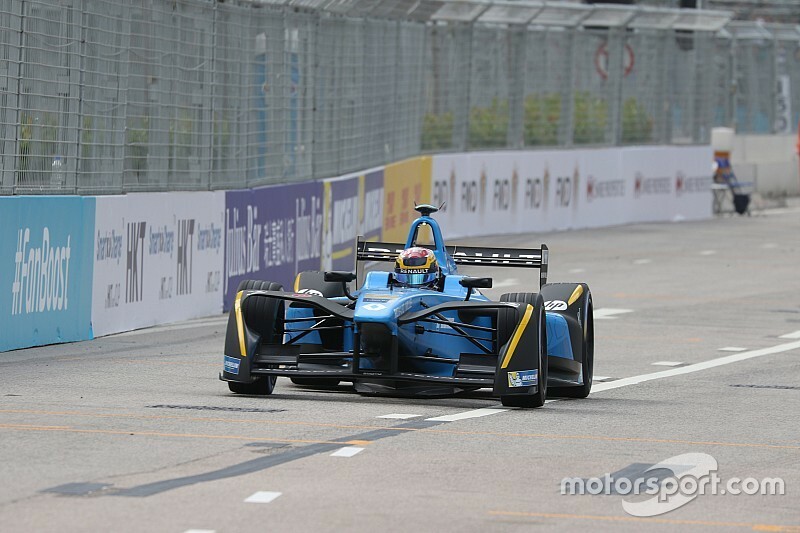 Jerome d’Ambrosio claimed seventh for Faraday Future Dragon Racing ahead of Oliver Turvey in the NextEV car. The British driver had run second in the early stages behind early leader Nelson Piquet Jr. The Venturi pair of Maro Engel and Stephane Sarrazin came in ninth and 10th after clean races. Pole sitter Piquet Jr. was a bitterly disappointed 11th. The Brazilian led for the first portion of the race, but lost position on the track after avoiding a crashing Jose Maria Lopez and then pitting as the race went green after the Safety Car was deployed to clear away the DS Virgin. 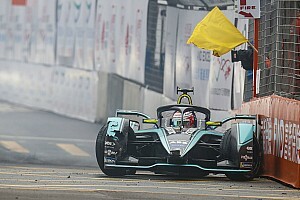 Piquet Jr. made the most of his first ever Formula E pole position to lead away in his NextEV TCR machine holding back teammate Turvey who slotted in to second position. Bird jumped teammate Lopez on the opening lap but some contact between them appeared to slow Lopez who was quickly swamped by both Buemi and Heidfeld before falling rapidly further down the order. There was also contact between di Grassi and Ma on the first lap with both cars damaged. While Ma’s was terminal, di Grassi was called in to the pit to change his front wing, half of which he had lost in the incident. It was a disastrous opening for the ABT Schaeffler Audi Sport team as Daniel Abt also suffered damage and was forced into the pits for repairs. The German eventually parked his car after running out of energy to finish the race. Bird started to put pressure on countryman Turvey in the early laps as Piquet Jr. sprinted clear and opened up a two second lead by the fourth lap. 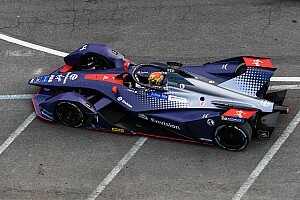 Bird took Turvey on the sixth lap and Sebastien Buemi followed suit later on the same lap demoting the next EV driver to fourth place. The battle for fifth position was an all-Mahindra affair in the early stages as Heidfeld held back impressive rookie teammate Felix Rosenqvist. The pair caught Turvey, while behind them Loic Duval, who made an excellent start from 11th on the grid, ran seventh. There were problems for Jean Eric Vergne in the Techeetah car as he pitted on lap eight with a technical problem. The Frenchman returned to the fray but ultimately failed to finish the race after running out of energy on lap 30. Bird started to briefly reel in Piquet Jr. but the Brazilian was quick to respond and was able to reply to the DS Virgin’s pace. On lap 14 there was disaster for Rosenqvist when he lost the rear of his Mahindra M3Electro and backed it into the wall. The damage to the rear wing was sufficient to ruin his race despite getting back out in his second car and setting the fastest lap of the race. There was high drama on lap 17 as Formula E rookie Lopez crashed at the now infamous turn three/four complex. Not only was Lopez’s race over but the incident took place right in front of the race leader Piquet Jr. who had to take avoiding action. 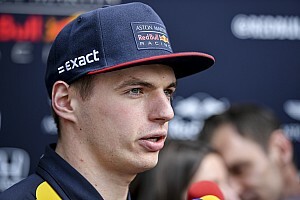 This lost him two positions ensuring that Bird inherited the lead from Buemi. Several cars took advantage of the Safety Car period as Turvey, Buemi, Heidfeld, Duval, Prost, d’Ambrosio and di Grassi elected to pit and change car. Piquet Jr. pitted as the race went green shuffling him back down the order. Bird remained out leading da Costa who had made a brilliant start in the Andretti was badly baulked by Vergne’s out of contention Techeetah and lost time to Bird. Bird stayed out until lap 24 just making it back to the pit before he ran out of energy. It appeared to be a fine strategy but problems starting the DS Virgin car saw his race crumble and Buemi was able to seize the initiative and a one second lead over a recovering di Grassi. 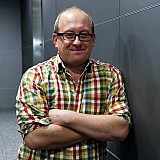 Bird re-joined back down in 15th position. 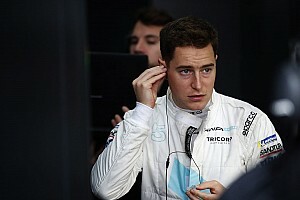 Mitch Evans didn’t make it back out after pitting on lap 24 but Adam Carroll completed the race in 12th position on Panasonic Jaguar Racing’s first race. The man on a mission in the closing stages was da Costa who hunted down Turvey and took the British racer for fifth on lap 39. The Portuguese then went after fourth-placed Prost but had too much to do despite a spirited charge. Fellow Andretti driver Frijns was also on the move, taking d’Ambrosio and Turvey to grab sixth place. It was a stellar reward for the team as they built up a new car for the Dutchman after his qualifying accident. Buemi was able to pull a slight advantage over Di Grassi and the season two title contestants traded lap times right up to the chequered flag with the Swiss driver taking the win by 2.477 seconds.